Time for a water fight? Don't show up un-prepared! 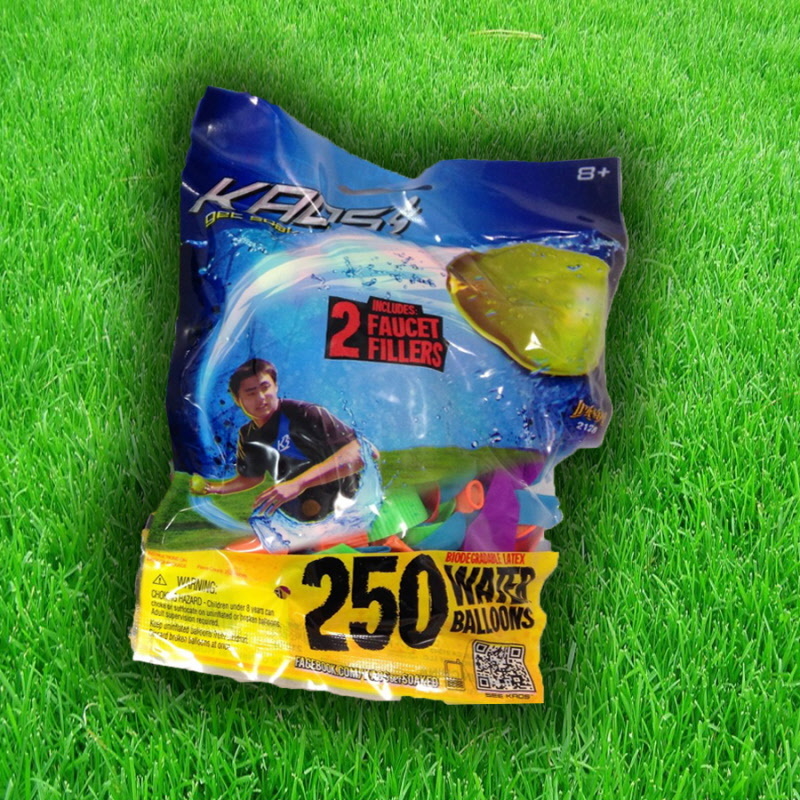 This 250 Water Balloon pack will equip you and your friends with plenty to go around. They are also biodegradable in case you miss a few when picking them up. Includes two faucet attachments, one for each team.